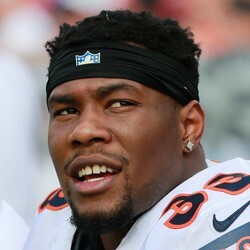 NFL Insider Adam Caplan is reporting the Baltimore Ravens have waived running back Jeremy Langford on Saturday. Langford's stint on the Ravens' active roster didn't last very long. He was waived Saturday in favor of Alex Collins. Expect Langford to catch on with another club's taxi squad at some point in 2017.